His Excellency the Minister of Environment, Abdulla bin Mubarak bin Aboud Al-Madadi, welcomed all participants, and expressed his pride that this meeting of the Conference of the Parties in Qatar was the first to be held in the Middle East. He noted that CITES was one of the most successful conservation conventions, especially through its aims of balancing environmental and development issues. He expressed the view that illegal trade was one of the main threats to species and was convinced that CITES was having a significant effect in controlling unsustainable trade. He referred to conservation activities undertaken in Qatar, including the successful recovery of the Arabian oryx, which now numbered 1,300 in the country. He hoped that discussions at the current meeting would lead to permanent protection of natural resources through control of trade. Click here to see the full opening speech. The Executive Director of UNEP, Mr Achim Steiner, began by stressing that CITES was more relevant than ever before, in view of escalating threats to biodiversity. He urged the international community to redouble efforts to act intersessionally to bring CITES alive, reflecting on its visionary beginnings and its proud 35-year pioneering tradition linking conservation and sustainable use. He noted that it placed environmental management at the heart of economic policies, for which trade was the driver. However, in this United Nations International Year of Biodiversity, he noted that it should be recognized that the goals set by the international community to reverse the rate of species’ decline had not been met. CITES was fundamental to stemming biodiversity loss, but its future should be within the context of an emerging international governance regime embracing synergies with other biodiversity-related agreements and, more widely, with global economic realities. Battles fought issue by issue had not served the Convention well and should give pause for thought. He lamented the erosion of resources available to CITES. The Secretariat was struggling to function, let alone grow. In the light of this, he urged Parties to ask themselves what they wanted CITES to deliver and, realistically, what funds were necessary for this, as the current level of funding was tantamount to a mandate to close it down. He ended by thanking the outgoing Secretary-General for his valuable work and leadership and announced his successor, John Scanlon, UNEP’s current Principal Advisor to the Executive Director on Policy and Programme. He assured the delegates that he took CITES very seriously and committed UNEP to supporting its effective implementation. The CITES Secretary-General, Mr Willem Wijnstekers, expressed his gratitude to the Government and people of Qatar for hosting the meeting. He noted that the Conference of the Parties was a perfect opportunity for raising awareness of CITES issues and thanked the host country for providing the interpretation into Arabic. He also thanked the Government of Qatar and other donor Parties for their contribution to the sponsored delegates project. He noted that CITES was the most successful biodiversity agreement and that it had not lost any importance or influence in its 35 years. He highlighted the need for greater synergies with other biodiversity-related conventions and, in the light of diminishing resources, stressed the importance of simplifying existing resolutions and decisions. He expressed concern that despite an increase in the number of Parties and higher demands on the Secretariat for additional services, funding from Parties had decreased over the last 10 years. He encouraged increased political will to meet obligations and suggested that decisions on the budget will reflect the Parties’ commitment to the implementation of the Convention. 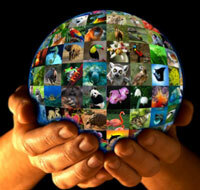 He drew attention to the latest Activity Report of the CITES Secretariat which summarized activities for 2008-2009. He disagreed with the view that CITES was not a suitable vehicle for management of commercially-exploited marine species. He emphasized the need for international cooperation and positive dialogue based on mutual respect throughout the meeting. With this, he declared the meeting open.